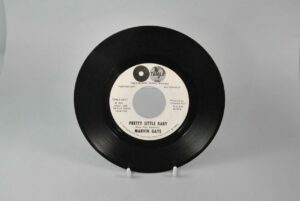 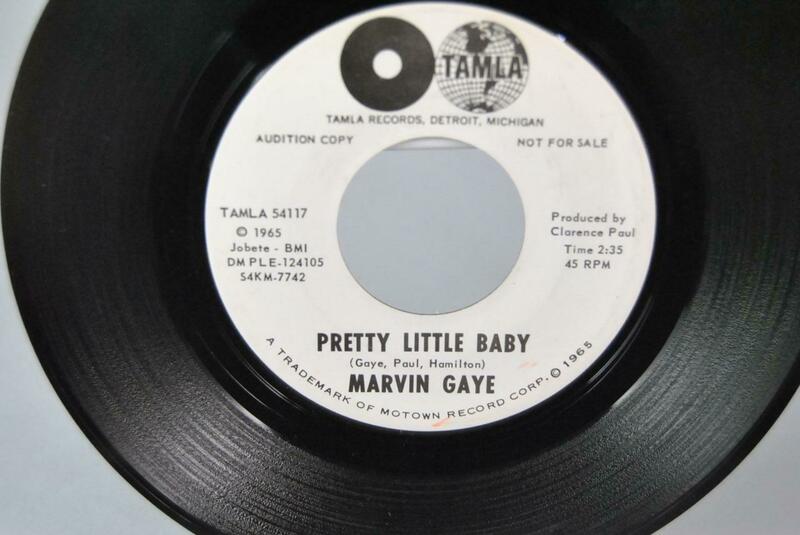 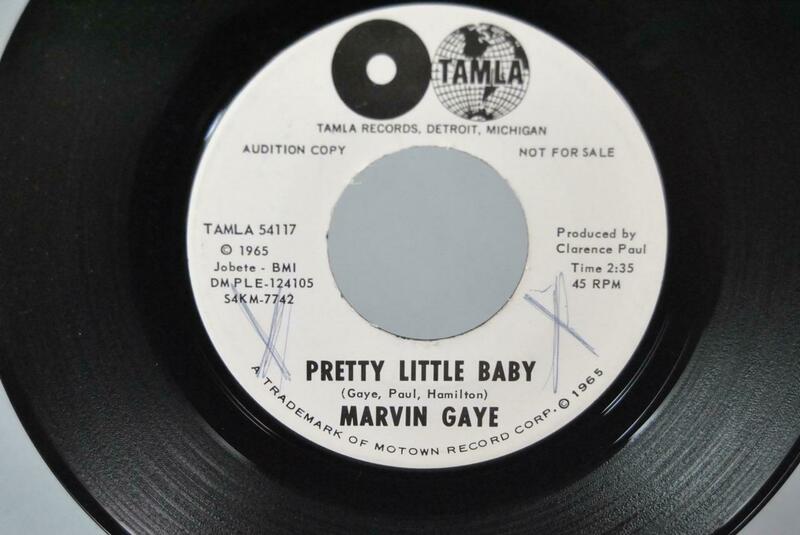 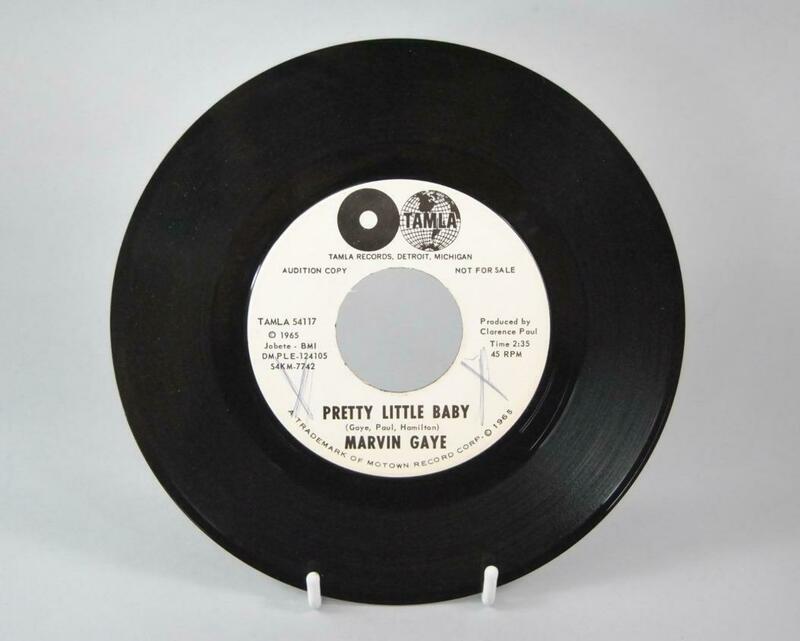 45 RPM near mint+Marvin Gaye “Pretty Little Baby” promotional record produced by Clarence Paul. Two X’s on one side in ink. Two light scuffs.